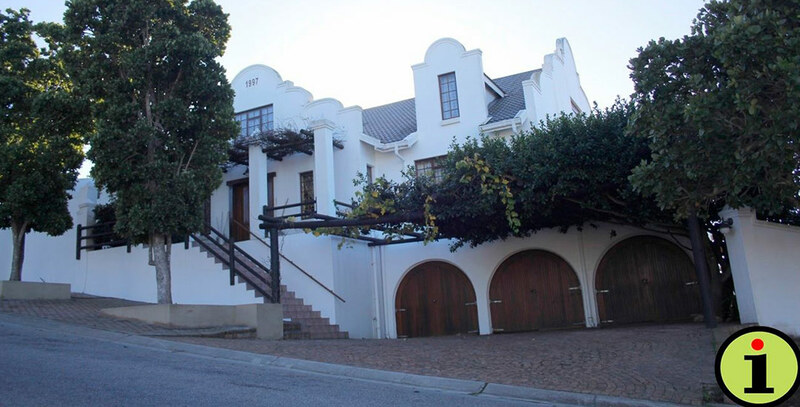 You will experience hospitality at its best at this guest house in Tergniet, close to Great Brak River. A braai room with a view makes it possible to have a barbecue in all weather conditions while watching the sea. The upper level has a game room where you can play snooker, darts or table tennis – and guests are welcome to use the lounge, TV room, dining room, balcony and garden areas as well. 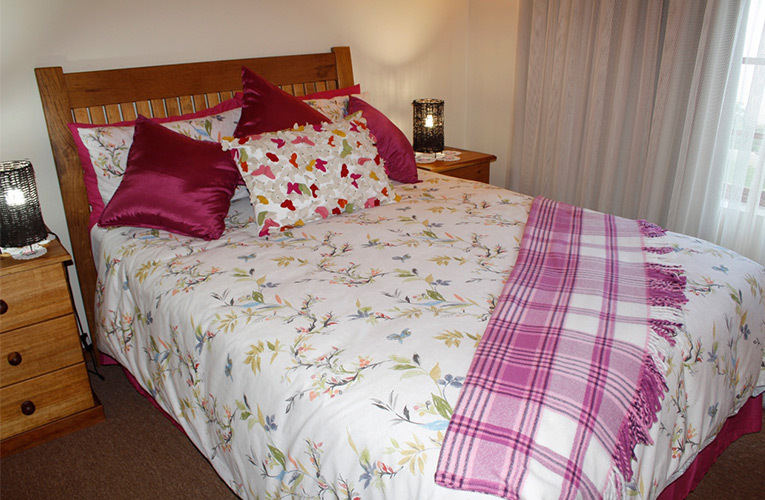 There is 1 en-suite wheelchair friendly double bedroom. 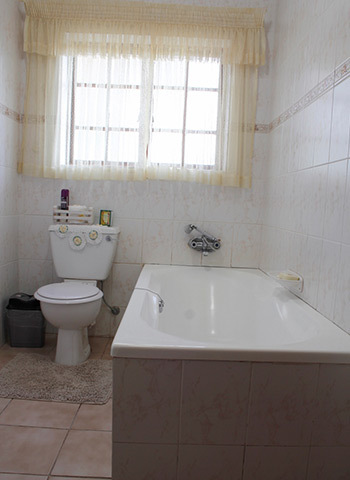 Other rooms are 2 en-suite double bedrooms, a family bedroom with 2 double beds, and a family bedroom with a double and single bed. DSTV and coffee/tea stations in all rooms, internet and informal conference facilities available. 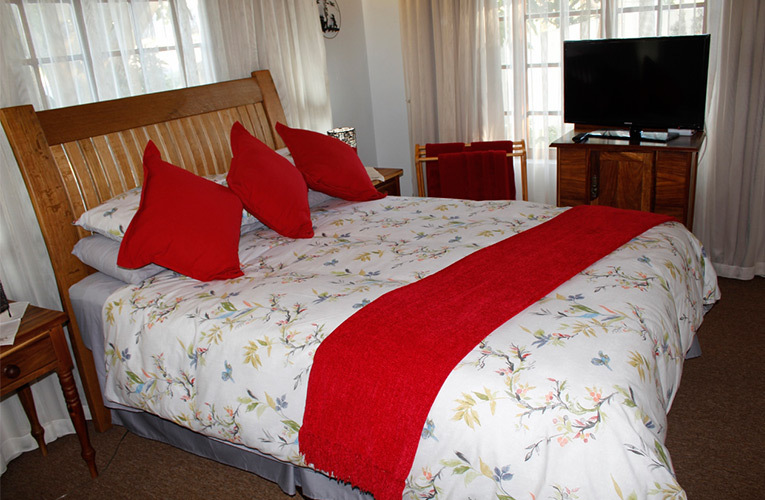 R800-R850 per room, this varies according to season and number of nights booked. Laundry done on request at an additional fee. 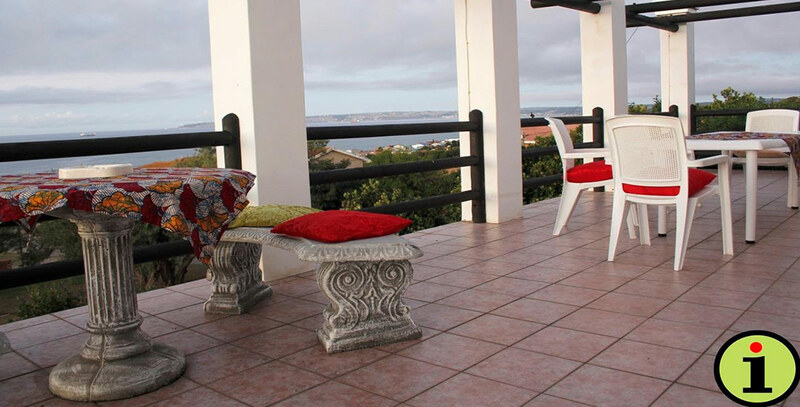 Relax with a sundowner while enjoying this magnificent view across the sea towards Mossel Bay. You will definitely not miss “Mom’s cooking”! 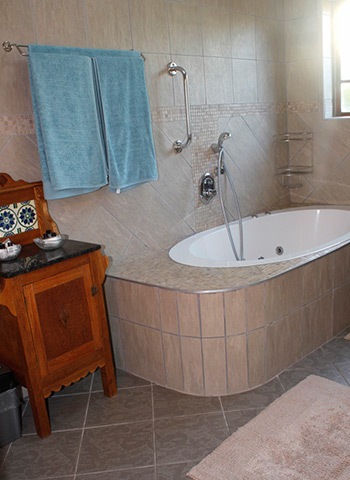 We offer hearty breakfasts and will also provide picnic baskets and braai packs on request. 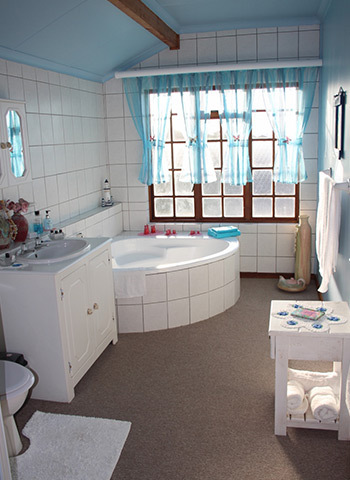 Room 1: Spacious room that allows movement to a disabled person in a wheel chair. 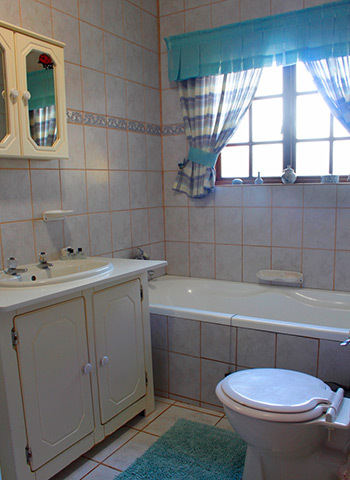 The unit is equipped with a dressing room, separate toilet and en suite bathroom for use by a disabled guest. The room has a king size bed, DSTV, safe and a coffee and tea bar. 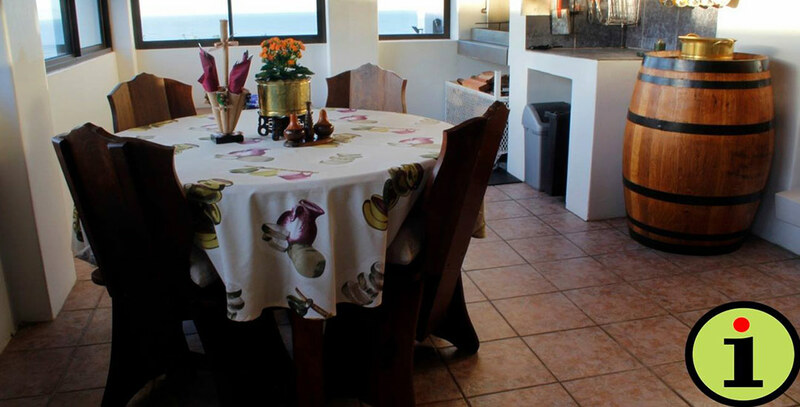 A double door leads to the braai facilities and spectacular sea view over Mossel Bay. 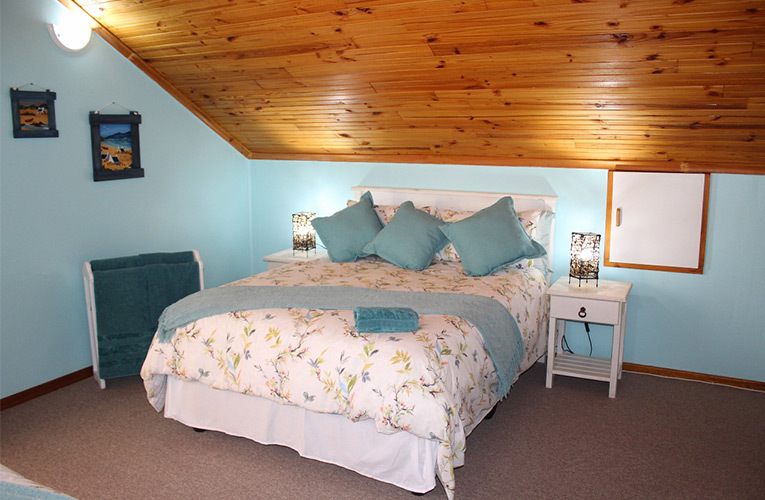 Room 2: Spacious room with a double bed and an en suite bathroom, situated at the eastern side of the building. Large windows on the eastern and northern sides both allow a view on the garden. The room has DSTV and a coffee and tea bar. 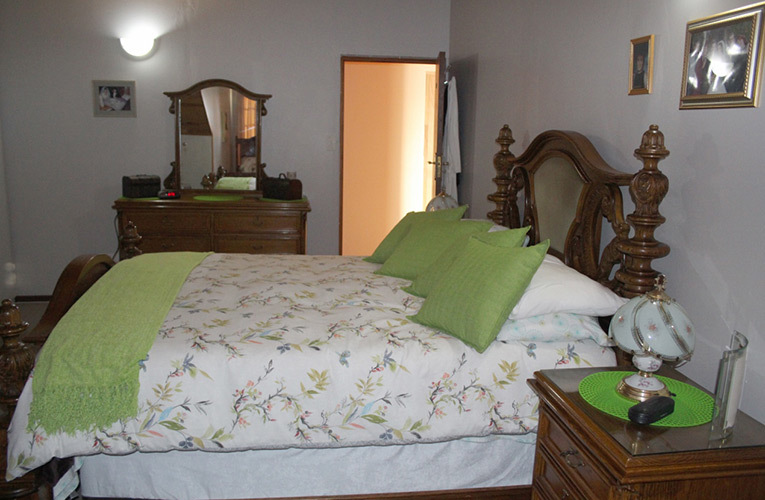 Room 3: Lovely room with a double bed and en suite bathroom situated at the western side of the building. Large windows on the western and northern sides of the room provide a view on the garden. The room has DSTV and a coffee and tea bar. 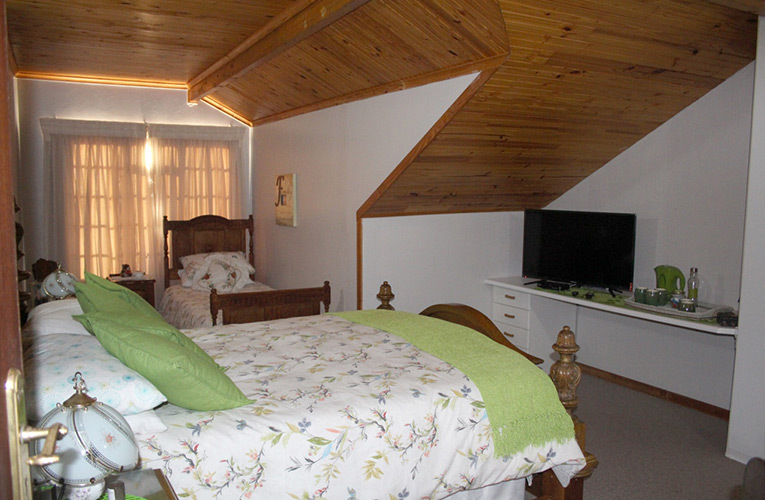 Room 4, upper level: Situated at the northern side and has two double beds, a cot can be provided on request. The window provides a view on the garden. The room has DSTV and a coffee and tea bar. 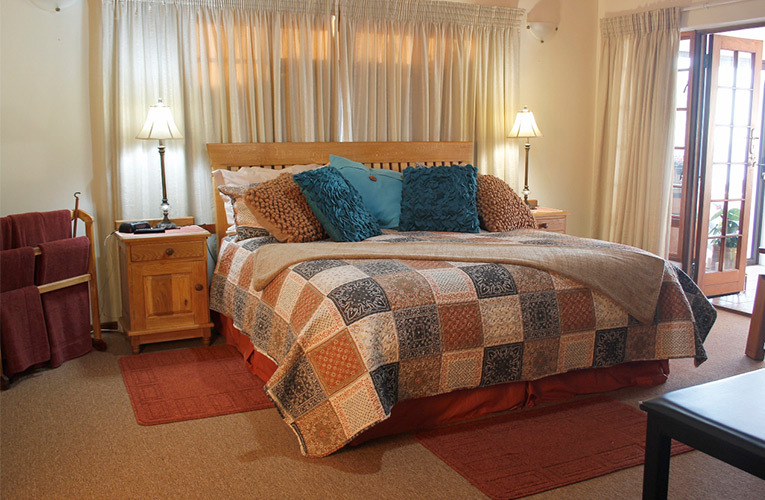 Room 5, upper level: Situated at the eastern side, has a double bed as well as a single bed and allows a view over the garden. The room has DSTV and a coffee and tea bar.